IN THE HUB OF WEST END! This blended home has the character of olde and convenience of new. 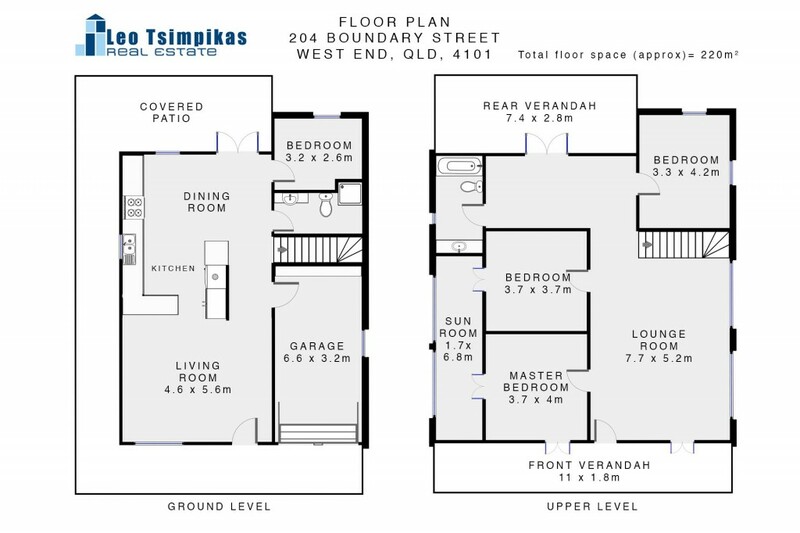 Set on 2 levels it boasts 4 bedrooms, 2 bathrooms, a spacious lounge room and 2 very relaxing balconies. Downstairs is an open plan, chefs kitchen, dining and lounge, a lock up garage, 4th bedroom or study and another bathroom. Walk out to under-cover outdoor courtyard to relax and have a break. Manageable square 425m2 block and if you have a green thumb, there's a magic garden inviting you. This property is easy care with polished floors, tall ceilings, VJ interior and the olde world charm and the benefits of solar panels and water tank. In a good capital growth area you are only a stones throw from all the major life style amenities eg: Performing Arts, Museum, South bank Parklands, Library. Walk to shops, City, Southbank and a short stroll to West End's unique restaurant precinct and night life. Good schools are here, access to Uni of Qld, QUT, Griffith and in B.S.H.S. catchment area.